BEIRUT (CNS) — The new Chaldean Catholic archbishop of Mosul, Iraq, faces a challenge of rebuilding, but not just structurally. What is also needed, he said, is a rebuilding of minds, hearts, coexistence and peace. “It’s very important to have good relationships among all the citizens and at the same time to protect our Christian rights,” added the archbishop, who was installed Jan. 25. Rebuilding Mosul and the Ninevah Plain pertains not just to reconstruction and infrastructure, he said. Education also needs to be rebuilt, from the curriculum in the schools to the preaching in the mosques. 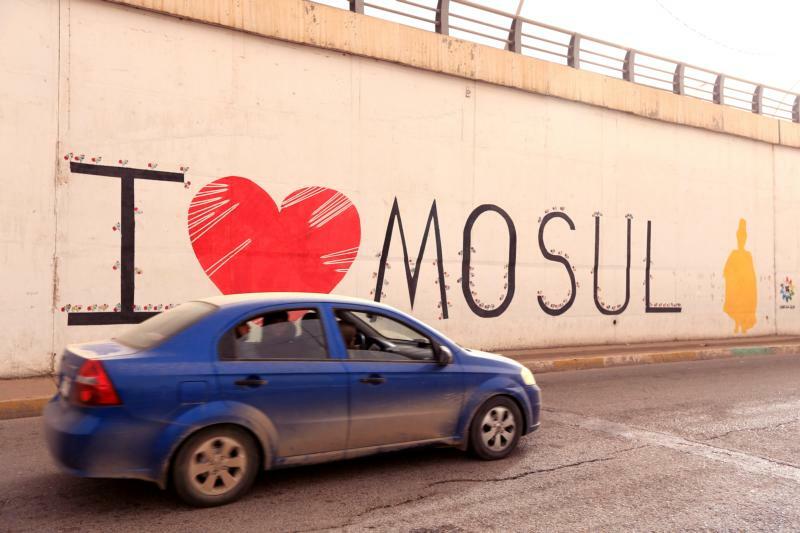 Before Mosul fell to Islamic State militants in 2014, it had a Christian population of around 35,000; now, “there are no more than maybe 10 families” living there, Archbishop Moussa said. Additionally, there are around 50-80 Christians attending college or working in Mosul, but they do not remain in the city at night. The city was liberated from IS in 2017, but today, in West Mosul, 85 percent of the houses are completely destroyed, the archbishop said. “Most of the families can’t go back to Mosul because they have no more houses,” he said. They also need jobs and want to give their children a future. Although there are no exact figures, he estimates that around 300-350 families have returned to the nearby Ninevah Plain. That area had Iraq’s largest concentration of Christians, but they, too, were uprooted by IS in the summer of 2014. For now, the archbishop is working from the nearby city of Karamlis. He noted that his counterparts — the Syriac Catholic and Syriac Orthodox archbishops — also hope to return their seats to Mosul. Archbishop Moussa said the archbishops are working together as well as with the Assyrian and other Christian churches. Hearts are central to any human project. Re-building hearts is far more precious than rebuilding infrastructure only.